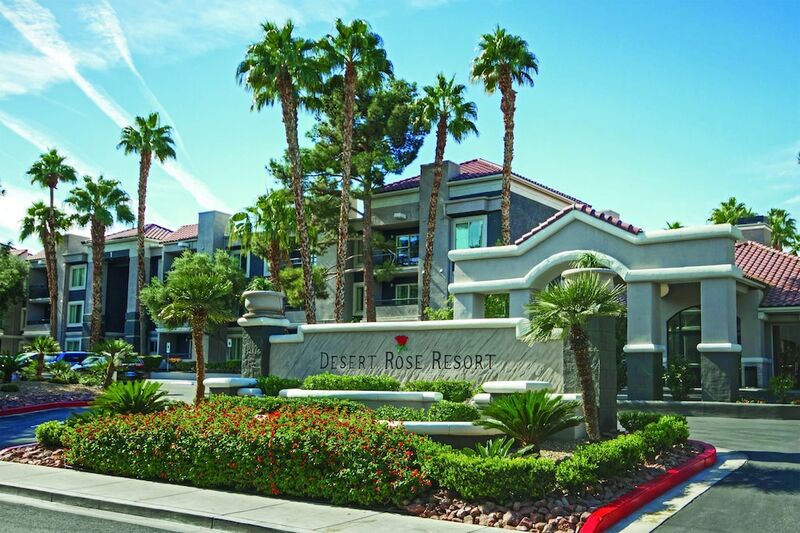 A stay at Desert Rose Resort places you in the heart of Las Vegas, within a 10-minute drive of T-Mobile Arena and Thomas and Mack Center. This hotel is 2.1 mi (3.5 km) from Raider Stadium and 2.5 mi (4 km) from University of Nevada-Las Vegas. A block from the Las Vegas Strip, the Desert Rose Resort is one mile from the University of Nevada, Las Vegas, and 2.5 miles from the airport. Leisure options include an outdoor pool with adjacent spa tub and a small fitness center. Complimentary wireless Internet access is available throughout the hotel. Coin-operated laundry facilities are available for guest use. A small convenience store is open 24 hours. Desert Rose Resort's newest addition is Ellington's Bar and Grill, serving cocktails and delicious lighter fare in a relaxed atmosphere. Surrounded by lush landscaping, the outdoor pool and spa tub are perfect for relaxing. A fitness room offers cardio and strength-training equipment. The South Seas-themed Bali Hai Golf Club is 1.5 miles away. Hiking at Red Rock Canyon and boating and fishing at Lake Mead are both within 20 miles.